When I go out to dinner with my friends, we like to try different Rockford original restaurants. 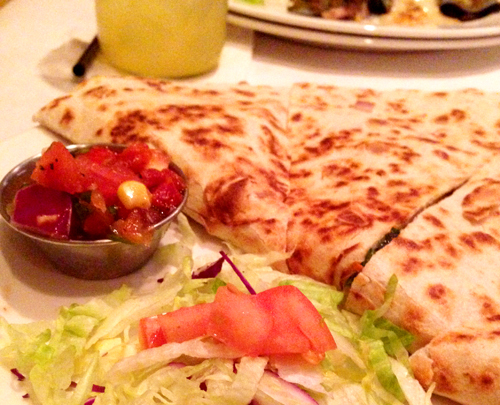 The last time we went out, we decided to try out Lucha Cantina, located at Edgebrook. When we walked in, we immediately fell in love with the atmosphere, which is bright and fun! The walls are painted all bright colors, and the unique artwork adds to the energy. Before ordering the food, we had to try Lucha&apos;s famous margaritas. Although if you know me, you know I&apos;m not a huge fan of margaritas, but I decided to give it a try. 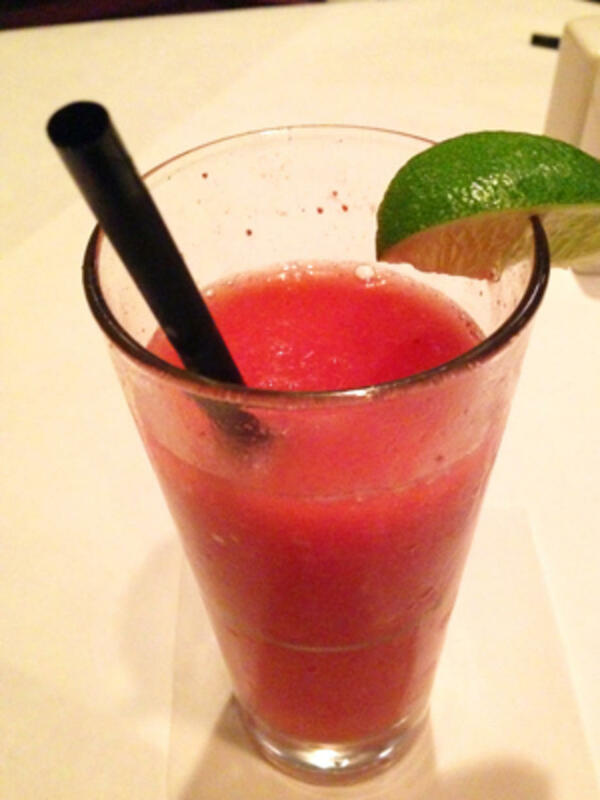 I chose their strawberry margarita (frozen) and was blown away on how delicious it was! Lucha is proud of the fact that all of their margaritas are made fresh (mine had real strawberries in it!). When you go there, I highly recommend trying one for yourself. For my meal, I ordered the Vegan Quesadilla. No, I&apos;m not vegan...or even vegetarian. But I am a sucker for hummus and this particular quesadilla had hummus, so I was sold. The quesadilla was perfectly cooked, with the ingredients evenly distributed throughout. There&apos;s nothing worse than taking a bite of a quesadilla and being disappointed when you realize you just got a mouthful of just shredded lettuce. The portions aren&apos;t stingy either. I took almost half of my quesadilla home (which I greatly enjoyed later!). You also get to choose which of their many salsas you want with your meal. Since my mouth nearly feels like it&apos;s on fire if I have even the smallest bit of jalapeno, I opted for the Pico De Lucha (level 1 on their spicy scale). The salsa I chose was a match made in heaven with this quesadilla. Everything tasted completely fresh, and the veggies were nice and crisp. If you&apos;re looking for a fun place to eat fresh food, you need to go to Lucha Cantina. Now that the weather is warm, you can even sit in their fabulous outdoor patio area! And while you&apos;re in the area, take a look around the other shops at Edgebrook (ice cream at the Popcorn Parlor anyone??). Lucha Cantina is located at 1641 N Alpine Rd., Suite 212. Visit luchacantina.com/rockford for more information.